3. 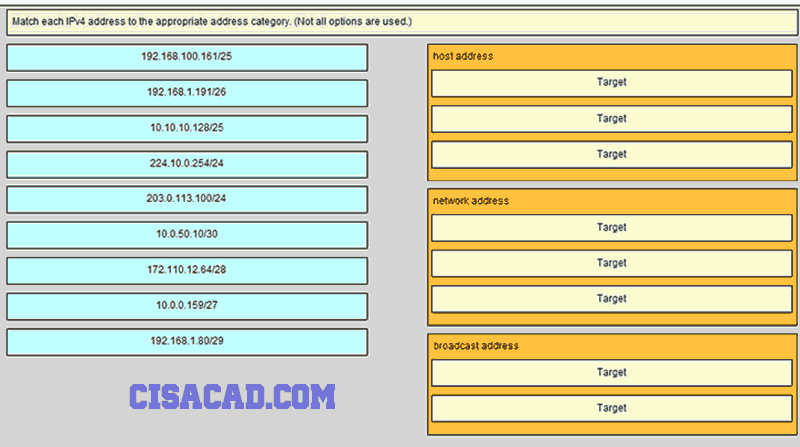 What is indicated by a successful ping to the ::1 IPv6 address? Which message is displayed on the web server? 8. A DHCP server is used to assign IP addresses dynamically to the hosts on a network. The address pool is configured with 192.168.10.0/24. There are 3 printers on this network that need to use reserved static IP addresses from the pool. How many IP addresses in the pool are left to be assigned to other hosts? 14. Which network migration technique encapsulates IPv6 packets inside IPv4 packets to carry them over IPv4 network infrastructures? 15. 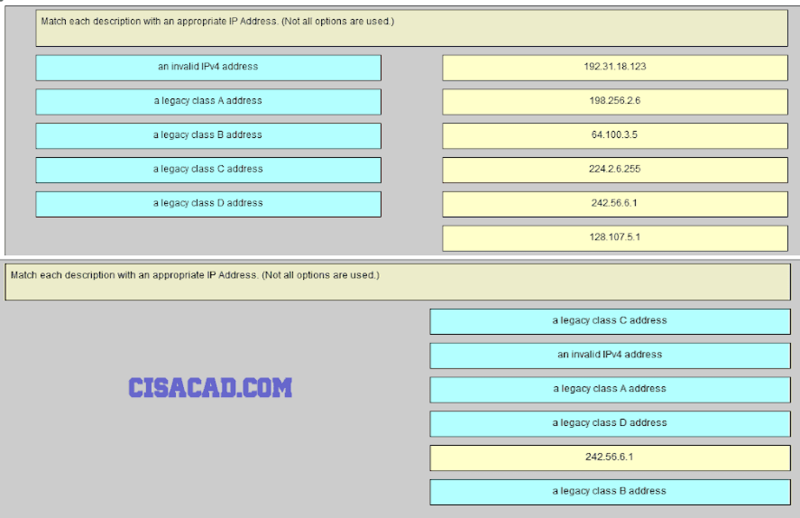 When an IPv6 enabled host needs to discover the MAC address of an intended IPv6 destination, which destination address is used by the source host in the NS message? 16. When a Cisco router is being moved from an IPv4 network to a complete IPv6 environment, which series of commands would correctly enable IPv6 forwarding and interface addressing? 19. 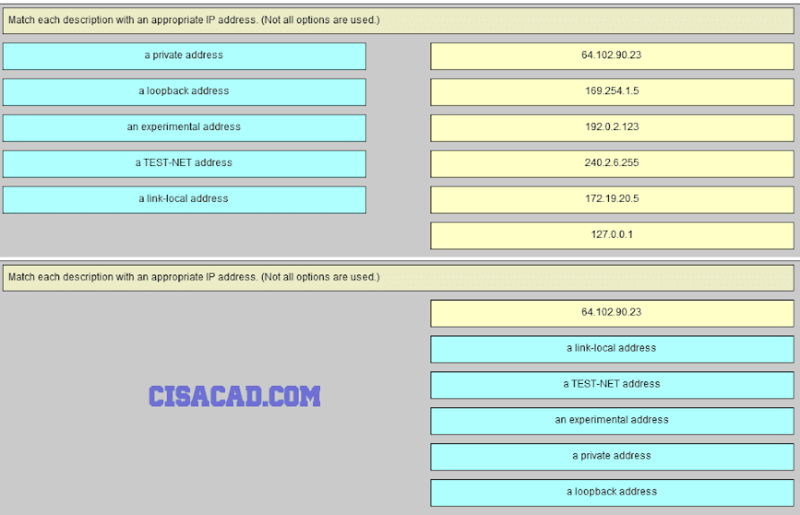 What is the prefix length notation for the subnet mask 255.255.255.224? 22. When will a router drop a traceroute packet? 23. An IPv6 enabled device sends a data packet with the destination address of FF02::1. What is the target of this packet? 24. How many bits are in an IPv4 address?